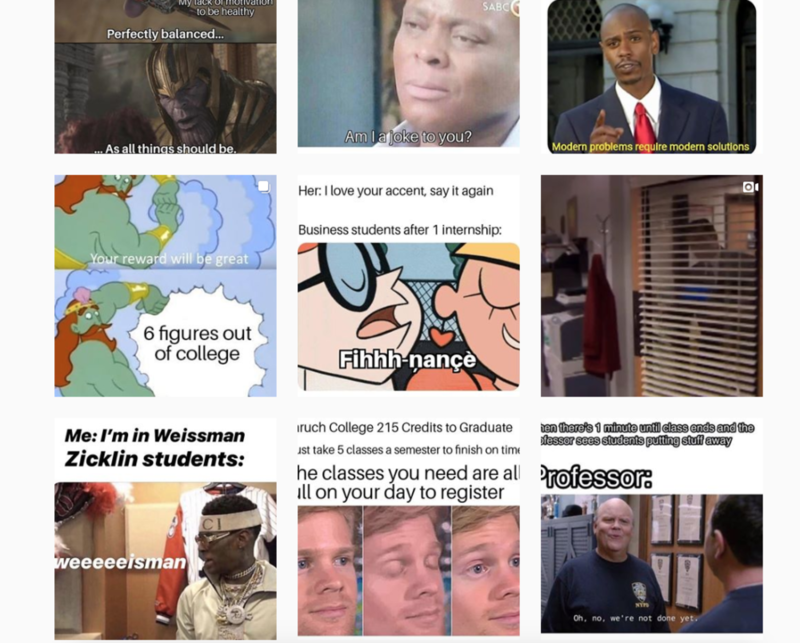 School spirit in a commuter school such as Baruch College can come in many forms and for these three students — it’s by running a meme account on Instagram about their experience here. In an interview with The Ticker, the team behind the “baruchmemesog” account — who remained anonymous — explained why they love going to Baruch. “The opportunities at this school are incredible. With that said, anywhere outside of the club room and the school begins to smell of decay. People never seem excited to be on campus; there is an enormous lack of school spirit,” said the team. In just a week, the account gathered over 500 followers. The team didn’t expect for the page to blow up as fast as it did. On Monday the account had over 400. They then went through different organizations on campus to make sure they were getting people from different crowds. Their interactions are also growing. They get about an average of four to eight memes a day, often times two or three from the same person. Their favorite meme by far, they explained is, “probably be the one with Michael Scott and 8am finals"
They also plan on doing roast memes, with the individuals’ permission. “If we get really successful, maybe we can even offer promos for merch,” they said. However, they do hope to keep their legacy alive by passing the account down to the next generation of students when they graduate. “For now, though, we are giving it our best effort and are going to make it last as long as we can,” they said.